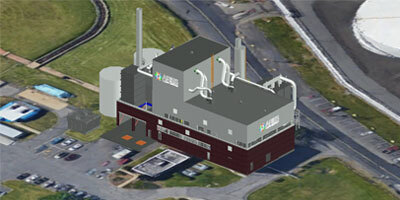 Gasification impacts several of the largest drivers for business. To help understand specifically where and how gasification can be most impactful, we aggregated several of the biggest costs and emissions drivers to identify key opportunities for businesses. Corporations have made large strides towards sustainability over the past decade. In fact, with a particular focus on waste, energy, and emissions reductions, a significant percentage of meaningful companies have trimmed their environmental footprint while shedding associated costs. 63% of Fortune 100 companies have set or retained energy targets. In addition to Fortune 100 companies, nearly half of Fortune 500 companies have energy targets – up 5% from 2014. These companies mean business – and not business as usual. Technology, venture capitalists, and untouched markets are just a few of the forces causing big companies to stay ahead of the curve. At the same time, emerging companies must hustle to refine their strategies to find competitive advantage and gain market share. While the marketplace hosts its share of dangers, the planet is also becoming more precarious. The uncertainty of climate change, natural resources, population pressures, water supply and more mean two things: 1) risks and 2) opportunities. The winning companies are seeking to mitigate risk and position themselves for opportunity. Fortunately, building a more sustainable planet by reducing waste, energy, and emissions is one of the biggest opportunities of the 21st century. Brand enhancement to align with customers’ values. Big companies are saving big money. A recent report, the Power Forward 3.0 report, takes an in-depth look at costs savings from energy and emissions reductions projects from some of the largest companies in the U.S. The report reveals that previously implemented energy efficiency projects to meet goals have resulted in a collective $3.7 Billion in annual savings across 190 of those companies. Wal-Mart is one player who is on a mission to reduce their footprint to achieve big savings. Supplied by 100% renewable energy. Create more sustainable products for its customers. 2015 marked Walmart’s 10th year of focus on becoming a leader in sustainability. In a Global Sustainability Milestone Meeting, Walmart announced it outshot its 2010 goal of eliminating 20 million metric tons of GHG emissions by an additional 8 million tons – 28 million metric tons in total. That is the same as removing 6 million cars from the road in a year. Other milestones included doubling the fuel efficiency of its fleet, reducing waste to landfills, selling healthier food, and deploying more renewable energy than any other U.S. company. The result is over $1 Billion per year in cost-savings for Wal-Mart alone. Wal-Mart, the iconic “low-cost” retailer is able to translate its sustainability strategy into significant business strategy – save money. Along with collective cost savings, leading companies have woken up to the risks that carbon and waste pose for the future. Electricity and fuel costs continue to climb. 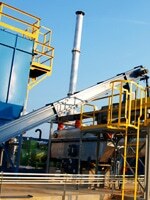 Landfill fees go up nearly every year. And carbon is likely to be priced in the years ahead, with several countries instituting carbon exchanges. As corporate leaders look ahead, they have a responsibility to their shareholders to mitigate risk. Foresight on these costs are allowing them to do so while delivering business value. A particularly powerful example of companies proactively mitigating risk is the move to establish science-based targets and the setting of 100% renewable energy goals. A science-based target utilizes the best available climate science to define appropriate emissions reductions goals. Multinational firms like Procter & Gamble, General Mills, and Kellogg Company have committed to the Science Based Targets Initiative along with 210 companies around the world. Walmart, Apple, Bank of America, Facebook, and Google are among some of the global players aiming for 100% renewable energy. If the $3.7 Billion in annual savings in 2016 isn’t enough, these companies have reduced 155.7 million metric tons of CO2 equivalent – the same as retiring 45 coal-fired power plants for a year. As these companies look forward 5,10, or 20 years; they can imagine the competitive advantage of being ahead of the cost curve, with reduced waste, emissions, and energy use allowing them to thrive while less insightful competitors struggle with increasing costs. Reductions can help save costs, but they are also helping businesses grow their revenue. As mentioned earlier, the challenges of a crowded planet also present new and untouched opportunities. GE sees the opportunity in not only reducing their own footprint, but in also enabling their customers to lower their footprints. The result is $270 Billion in revenue generated. To realize these sales, GE invested $20B in R&D. Among some of the main innovations are 30,000 wind turbines installed, the high-efficiency 9HA gas turbine, and Evolution Locomotive, which meets EPA’s Tier 4 emissions standards. While driving topline results, GE’s reduced footprint also drove bottomline growth too. Building on these results, GE is accelerating toward their goals. They plan to meet 20% reduction in emissions and 20% reduction in freshwater use by 2020. Growth can come from new opportunities. It can also come from standing out from competitors. With more spending power in the hands of values-oriented consumers, companies are becoming more concerned about how they are perceived and how they align with their customers’ values. – A Nielsen survey revealed that 55% of all consumers would pay more for products from brands with a sustainable impact. Some call them “conscious consumers.” Some call them “values-conscious.” Or “greenies.” And in fact, the next generation of millennials will inherit the largest transfer of wealth in history, making them a powerful consumer base. Millennials make up 51% of the values-oriented customer segment. Indeed, one of the most recognized brands in the world, Coca-Cola, has chosen to focus on sustainability to enhance their brand value. Coca-Cola understands the shifting trends toward healthy and green living. So their initiatives aim to match the priorities of their consumers first and foremost, earning them values-credibility and helping to grow their topline sales. To take advantage of this shift, the company has invested in more sustainable brands like Odwalla, a smoothie in a bottle, Vitamin Water, Honest Tea, Zico Coconut Water and more. Then, they employ specific reductions practices across their business units and promote those outward. For example, they are dedicated to reducing one of their biggest inputs – water. By 2020 they plan to reduce water efficiency by 25% and replenish 100% of the water they use. Their energy-efficient coolers help their retailers customers reduce energy costs and reduce 3.1 million metric tons of CO2 emissions per year. 35 billion+ PlantBottleTM packages have been used, reducing their use of oil by 743,000 barrels. In Great Britain, Coca-Cola recently launched a marketing campaign encouraging people to recycle in addition to announcing their goal for 100% of its packaging to be recovered and increase use of recycled plastic in bottles from 25% to 50% by 2020. In an increasingly competitive market, Coca-Cola is using its sustainability reductions efforts to align with emerging customers’ values. As a company struggling to stay relevant, this strategy will allow them to stay aligned with consumers’ changing attitudes. Companies like Wal-Mart, GE, Coca-Cola, and Google have uncovered significant results over the past decade. They have invested money, human resources, and R&D into initiatives with profitable returns, both as business leaders and as global stewards. Without a doubt, sustainable innovations will continue. But a lot of the low hanging fruit has been gathered. Water-saving faucets. 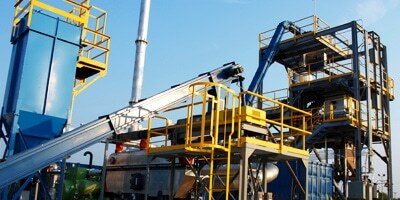 Energy-efficient capital equipment purchases. Packaging reductions. Photovoltaics on the roof, etc, etc. To reach the next level of goals, like Science Based GHG Target, 100% renewable energy, and zero waste-to-landfill, a new series of innovations will need to take place. Aries Clean Energy believes gasification technology is one those innovations that will offer a new frontier for corporate sustainability. 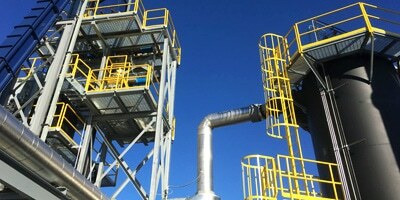 Gasification is unique in that it doesn’t just reduce energy and associated costs. Or emissions. 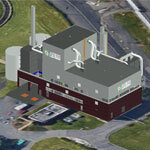 Gasification drives even further reductions in waste, emissions, and energy. This makes gasification a “triple turnkey” opportunity, or a ready-to-use solution to three of a business’ main cost drivers. 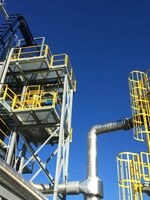 Gasification is simple. The process integrates into a company’s operations. 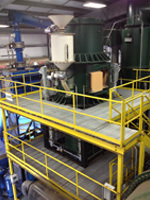 It utilizes an existing waste stream and converts it into a syngas, which is then burned inline instead of natural gas. So, in one process a company can reduce their waste-to-landfill, reduce emissions (landfill emissions, transportation emissions, and syngas burns cleaner than other fuels), and reduce their energy consumption from the grid. To determine landfill fees, we utilized data from the Environmental Research and Education Foundation (EREF), which maintains a database of 1,637 landfills across the U.S. To determine electricity prices, we utilized data from the Energy Information Administration based on state data. To determine natural gas prices, we utilized the Energy Information Administration’s monthly data by state. And to determine Renewable Portfolio Standards, we utilized the Database of State Incentives for Renewables and Efficiency (DSIRE), which lists each state’s goal for the amount of renewable energy its electricity producing utilities must provide and by which year. For example, Hawaii’s goal is 100% by 2045. We then sorted the data to identify the top 20 states in each category, i.e. top 20 highest landfill fees, top 20 highest electricity prices, top 18 renewable portfolio standards, and top 20 natural gas prices. We compared these states to find out which states have both the highest concurrent costs and most significant future risk from waste, energy, and carbon emissions. These seven states are the leading candidates for investigating and taking on waste to energy gasification, if the waste volumes are high enough. If your municipality or business operates in any of the states listed in the Venn diagram, then your strategy may likely need to included gasification. As sustainability ferries itself towards a ubiquitous element of strategy, companies must seek out more innovative and reliable sources of sustainable competitive advantage. Not every one can reduce their fleet’s fuel consumption by half. Not every company is in the wind turbine business. But every company generates waste, uses electricity, and generates emissions. It is in these simple and straightforward processes where an advantage can be gained. This is why more off-the-shelf solutions like gasification need to be developed: so every company that faces the rising costs of landfilling, natural gas, and electricity costs can continue to operate unencumbered by uncertainty.